Many consumers with older or inactive credit accounts sometimes close those accounts. If this is you, think twice. While closing older, unused credit accounts may help guard against identity theft or keep you from paying annual fees, it can also cause your credit score to decrease. By closing an old or unused card you are wiping away some of your available credit which can increase the overall amount of credit you are using. The way FICO looks at the amount of credit you are using is called credit utilization ratio. It makes up 30% of credit scoring. The ratio measures your total used credit in relation to your total available credit. The higher the ratio, the more negative impact on your FICO scores. The length of your credit history accounts for 15% of your credit score. The credit scoring formula rewards good credit habits that display a responsible use of credit over a period of time. 1. Length of credit history. Closing older accounts will cause your credit history to appear shorter and once the credit scoring model plugs in the age of your oldest account along with the average age of all your accounts, your credit score will take a dive if you no longer have older accounts to mix in the credit score calculation. The credit scoring formula calculates the difference between the balance of your credit accounts and your total credit account limits. Your credit scores will be higher if the difference between the account balances and credit limits is large. Should you close older accounts, the difference instantly becomes smaller and this will ding your credit score because your total available credit has been reduced. As the gap narrows between the utilization of credit and the available credit limit, your credit score will decrease. 3. Damage cannot be undone by closing an account. Some consumers mistakenly believe closing a credit account can get rid of negative information on that account. You may even believe closing accounts will improve your credit score. This is not true. Negative account information can be reported for up to 7-10 years, depending on the type of information being reported. Successfully disputing negative credit account information and getting deletions will get rid of negative credit information but closing an account will not. The only exception to closing an old account to get rid of negative information is that you are an authorized user of that account. For example, if an account gets a negative notation such as a late payment and you are an authorized user, this will reflect on your credit reports as well as the account holder’s credit reports. But, if you are removed as an authorized user, the negative will no longer reflect on your credit reports. Authorized users are not financially for credit accounts. And just because an account is older and perhaps even dormant, does not mean you should close it. If your credit card company is charging an annual fee that you don’t want to pay, ask them to waive it. That way you can keep the older account to help your credit score without paying an extra fee. If your goal is to raise your credit score, never close any of your accounts because you may end up hurting your credit score. In fact, should you have an older credit account consider charging small items on a regular basis and pay the balance off each month. Demonstrating active, current and responsible use of credit will help raise your credit score. 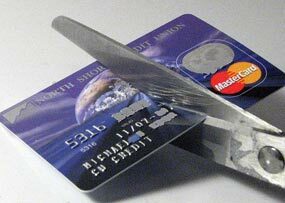 Never using an available credit card account does not demonstrate how well you handle credit and manage debt.